Parents of teenagers may have difficulty discerning whether their children’s mood swings are part of the normal turmoil of adolescence, or a sign of something more serious. According to the National Institute of Mental Health, 11 percent of adolescents develop a depressive disorder by the age of 18. And the National Institute on Drug Abuse reports that 7 percent of 8th graders, 18 percent of 10th graders, and 22.7 percent of 12th graders have used marijuana in the past month. With these statistics, it makes sense to be concerned if your teen is behaving unusually. Read on to learn more about signs of depression and drug dependence in teens. 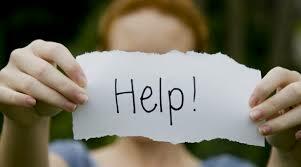 Most of these signs apply to both issues, since depressed teens are more likely to abuse substances. While most people equate depression with sadness, the disorder is just as likely to manifest in teens with anger, hostility, and frustration, as well as unexplained emotional outbursts. Depressed teens will usually withdraw from activities they once enjoyed and friends they once loved spending time with, as well as avoiding family activities. While this is also common in teens who are using drugs, those children may also have new friends who they spend most of their time with. Your previously engaged teen may show signs of learning difficulties, as well as the resulting drop in grades. Depression and drug use can both cause difficulty concentrating and remembering things. While sleeping in until noon is par for the course for many teens, you might become concerned if your child is sleeping much more than normal, and is lacking in energy during waking hours. By contrast, insomnia can cause your child to stay up late into the night; loss of sleep can also be a symptom of depression or drug dependence. For many people, depression manifests physically as well as mentally. Your child may express physical problems with no apparent cause, such as stomachaches, headaches, or back pain. Everyone has trouble accepting criticism sometimes. But if a simple reminder that they forgot to take out the trash reduces your teen to tears, then depression could be the culprit. A child faced with these feelings may simply stop trying to avoid failure. Both drug use and depression can be marked with a decline in your child’s interest in his or her appearance. Messy hair, failure to shower, unkempt clothing, and other outward signs of apathy should cause concern in parents. If your child shows up with unexplained marks on his or her skin, such as cuts, burns, piercings, and other mutilations, have him or her see a doctor for depression immediately. Similarly, discussion of death or suicide should be taken seriously; take your child to the emergency room if you suspect that he or she will commit self-harm. If your teen is using drugs, he or she will most likely begin staying out after curfew, breaking rules, and hanging with a new crowd that you may not approve of. You should also make sure that your child does not have easy access to alcohol and prescription drugs in your home. If these items are missing, or if you find drugs or paraphernalia in your child’s belongings, seek help. While the realization that your teen may have a depressive disorder or is dependent on illegal substances is difficult for parents, the reality is that help is available. If you notice one or more of the signs above, consult with your child’s doctor. He or she may recommend a rehab center, such as St. Gregory Recovery Center, which offers rehabilitation from drug dependence in a comfortable, positive environment. Visit https://stgregoryctr.com/ to learn more about how we can help your distressed loved one.